Those who have ventured from the Pannageman blog into the web pages mentioned in About the author opposite may have stumbled upon the 'Applications' suite of pages. This reflects a personal interest in rights of way research, and catalogues a number of applications, and draft applications, to add to the official record various unrecorded public rights of way, and in one case, common land, largely focused on East Kent. I'm sometimes asked what inspired me to embark on research in this area, given that I live in Surrey. So here goes. I've always been fascinated by Britain's rights of way network, and a keen walker and rider. But rights of way research — researching, documenting and applying for the recording of public paths which escaped the creation of the definitive map of rights of way in the 1950s — is a more recent interest. 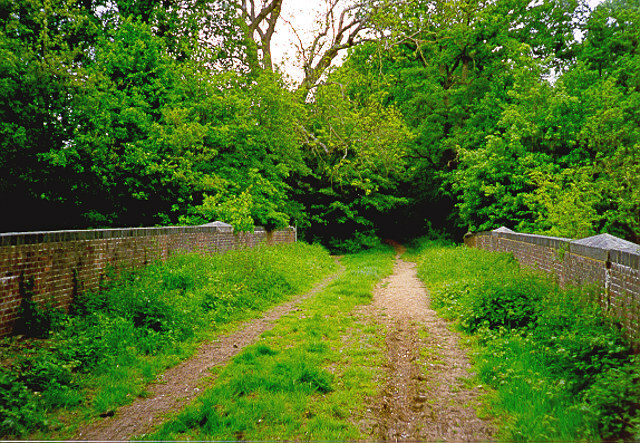 I first got involved in identifying the historic character of a route in Fetcham, Surrey, which I and others from our livery stables had ridden for years, but had lately attracted criticism from some locals because of its recorded status as footpath. Research in the late 1990s demonstrated that the 'footpath' was an old road, part of Kennel Lane, which had been eclipsed by development of housing, and escaped being tarred in the industrious period between the two World Wars when most public roads were visited by the tar painting gang. The county council compromised by obtaining an order from the magistrates' court to stop up the road subject to bridleway rights, and today, the route is recorded as a public bridleway. Fast forward to the present decade, and I embarked on some research on the Hampshire and Berkshire border, near Bramshill, to identify two restricted byways (carriageways over which rights for mechanically propelled vehicles have been extinguished) in an area where my sister lives, and which I have frequented on many walks and a few rides over the years. Two applications for these restricted byways to be recorded on the definitive map were made in 2013: these and subsequent applications can be viewed here. In 2013, a friend who had been walking in East Kent ventured down the minor road to sequestered Knowlton village to view St Clement's church, a redundant church under the care of the Churches Conservation Trust. The Ordnance Survey Explorer map at that time (and still, at the time of writing), showed the continuation of Knowlton Lane past the church as a 'yellow road' for about 100 metres — usually a good indication of public status, but the visitor was confronted by a sign which read 'Private: No public right of way'. Knowing that I'd be interested in the contrast between map and reality, he passed on the details. It didn't take me long, even from desk-top research, to conclude that there was something missing from the map. A little east from Knowlton, beyond the end of that 'yellow road', the Explorer map shows a public footpath, beginning at the parish boundary, east towards Thornton Lane; moreover, the Ordnance Survey marks the way 'Black Lane' — as it has ever since the first large scale map was published in 1872. Enquiries to the county council revealed that, when the definitive map was drawn up in the early 1950s, there was confusion about whether the way between St Clement's church and the parish boundary was a public road, which did not need to be recorded on the definitive map, and the parish of Goodnestone did not claim it. Over the years since then, research has shown that Black Lane is an old road or bridle-road of some significance, frequently referred to in the C18 as the main route between Canterbury and Deal. An application for Black Lane to be recorded on the definitive map was made in 2015, with 39 pieces of evidence (though some of the C18 maps are distinctly unhelpful). At that time, I concentrated on researching the background to Black Lane (and the background is voluminous: the tally of 39 has now reached 50). But the nature of rights of way research is that one thing leads to another. As one trawls the archives, it is impossible not to notice clear indications that the status of other ways has been under-recorded (typically, roads or bridleways as footpaths), or that such ways have been omitted altogether. As an example, the tithe map of Eastry, across which Black Lane runs, shows Black Lane as a distinct track or road. But it also marked two other ways as 'bridleway' — one of which is not recorded on the definitive map at all, and one of which is recorded only as a footpath. Such evidence is not conclusive of the status of a way as a public bridleway: it might be argued that the tithe map was not drafted with the purpose of identifying public paths, or that the bridleway was no more than a private right of way (though private bridleways are a rare thing outside inclosure awards). It does, however, inspire further research in pursuit of corroboration. Black Lane, Knowlton, between Thornton Lane and the dismantled East Kent Light Railway. Of the 2,930m applied for, this short stretch is the only (barely) accessible part — on foot. Over several years, I have acquired perhaps 25GB of maps, documents and registers covering the former Eastry rural district council's area, from visits to the Kent County Archives, the National Archives, the British Library and the Canterbury Cathedral Archives. All four have been hugely helpful, and I am also grateful to the British Horse Society's Kent area for reimbursing my expenses in gathering the data, and Phil Wadey's and Sarah Bucks' Restoring the Record for guidance. The consequence is that it is now possible to form a preliminary view on the historic case for any particular way in that area, on the basis of desk-top research drawing on data already accumulated. These data are never the full story: it is often possible to identify further historic documents specific to a particular parish or manor. An estate plan or parish map may provide key evidence, and this will still require additional visits to the archives. But the key building blocks for an application are in place. I have made four applications for ways in East Kent at the time of writing. Three more are in the pipeline, and others may follow. I was asked by a friend whether I thought about the landowners whose land these ways cross. All of the ways applied for to date cross agricultural or grazing land: in my view, acquiring land brings with it responsibilities as well as benefits. Land has always been subject to often hidden obligations: both private and public rights of way, other easements, rights to light, rights of common and other profits à prendre, even the obligation to maintain the chancel of the church or to maintain a public road. These obligations have been pared away over recent years: some of them must now be registered by the beneficiary against the registered title to the land, while the scope to enforce unregistered easements is now somewhat more restricted than previously. But public rights of way, even those not recorded in the definitive map, are not entirely hidden: a cursory look at historic large scale Ordnance Survey maps (now available on-line) will reveal many apparently public paths which, if sufficient other evidence exists, may be the subject of a future application. Consultants are available who will carry out more detailed research for a fee, in anticipation of a prospective purchase. To date, none of my applications has intruded on 'private space': a home or its immediate grounds — but even if one does in future, new powers available to local authorities under the Deregulation Act 2015 will enable authorities to negotiate with landowner to agree a diversion order (known as a modification consent order) as part of the recording process. Why were these paths not recorded on the definitive map? The Dover Express and East Kent News for 4 August 1950 records a parish meeting in Adisham to discuss the parish survey to inform the new definitive map. The report says that: "A large map of the Parish was closely scrutinised, showing 13 footpaths and 12 bridle roads. Each path and bridle road was dealt with individually, and, of 13 paths, it was agreed that 7 were necessary, 2 necessary for part of their length and that 4 no longer had any useful purpose. Of the 12 bridle roads, 7 were considered to be still serving a use [sic] purpose, 2 for part of their length and 3 were considered of no use whatever." It remains to be seen whether, in fact, those 3 or 5 bridleways 'considered of no use' in 1950 were indeed excluded from the definitive map. What was considered useless in 1950 is not necessarily useless today (and vice versa). But the sentiments of the meeting are not likely to have been unique to Adisham. Research is now up against a deadline. 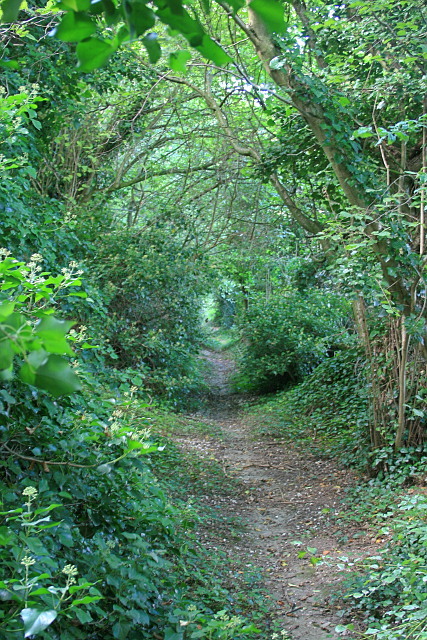 At the end of 2025, most unrecorded public footpaths and bridleways will be extinguished under Part II of the Countryside and Rights of Way Act 2000 (CROW). Were it not for the CROW cut-off, it might be that many unrecorded paths would have been quietly forgotten. But the cut-off, sought by the landowning and farming bodies as a quid pro quo for the right of access granted by Part I of CROW, gives new impetus to identifying these unrecorded routes. And there are only nine years left.